Ed and I just attended the 17th Annual V Foundation Wine Celebration at Nickel and Nickel in Oakville. The gala dinner concluded the three-day fundraising event with a bang--an event which raised a record $10.6 million for cancer research. The V Foundation was started by legendary North Carolina State Coach Jimmy Valvano and ESPN in 1993. Valvano was in his last days of life, dying from cancer, when he challenged the world to find a cure for cancer by starting the Foundation; his challenge was "Don't Give Up...Dont Ever Give Up." One of the co-founders of the Foundation is our winemaker's father Robert Lloyd, Valvano's roommate and teammate at Rutgers University and current V Foundation Board Chair Emeritus. The evening began with delicious appetizers at a silent auction in the Nickel and Nickel barrel cave. We were lucky to score a Valentine's Day in Yountville, which included a tasting dinner for two at The French Laundry. Can't wait! Welcoming us to dinner was host and head coach of men's basketball at Duke University Mike Kreyzewski. Then we had a delicious dinner featuring Maine lobster medallions, grilled filet of beef with morels, chocolate-hazelnut dacquoise raspberry smear and Nickel and Nickel wines. 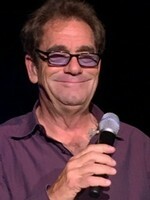 The dinner was followed by a live auction and a fabulous private concert by Huey Lewis and the News. The place rocked. 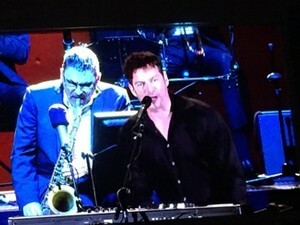 We kicked off the Hollywood Bowl summer season with the a Harry Connick, Jr. concert. This was the second time Ed and I had seen him in concert at the Bowl, and we weren't disappointed. Connick brought his New Orleans jazz band with him, and together they got down playing some fine jazz. Connick not only played the keyboard, but also played the guitar and horn. He also wasn't shy about shaking his booty either, with his back to the audience in New Orleans style. A fun concert! For the 17th year in a row, Ed and I, along with 2 other couples, took a break for a long weekend in a new location. This year, the destination was Montreal and Quebec City, Canada. We stayed at wonderful hotels--the luxurious Ritz Carlton in Montreal, which recently underwent a four-year-long remodel, and the Relais and Chateau boutique property Auberge St. Antoine, in Quebec City. So close to home, we were instantly immersed in French culture, and I had fun using my high school French. And the French people in Quebec province are so much more friendly than the French in France. We felt welcomed! We toured both the old and new parts of Montreal and ate at some great restaurants there, but fell in love with Quebec City. We took a comfortable train ride from Montreal to Quebec--only a little less than 3 hours away--and departed for a picturesque St. Lawrence River harbor cruise shortly after arrival. One of the most memorable meals we had in Quebec City was at gorgeous Toast Restaurant, where we were surrounded by its stained glass, hanging plants and atmospheric rosy lighting, while eating its great food, like a mushroom crostini with quail egg and mozzarella appetizer. Afterward, we walked over to the waterfront to watch a magnificent fireworks display, called Les Grands Feus Loto-Quebec, which happens only once a year, shown over the river and set to incredible operatic arias. It was the most beautiful fireworks display we'd ever seen, and we were so lucky to be there at the right time. On our last day, we drove to Ile D'Orleans right outside of town to a maple tasting at Domaine Steinbach, where my favorite sample was maple mustard. I just had to bring some home. So yummy! Afterward, we did a wine tasting but, since we are so spoiled because of our wonderful Napa wines, we weren't that impressed. However, at one of the Quebec restaurants, we drank some non-French wine, a Truchard Vineyards Roussane from Carneros. We were so happy to see it on the wine list! The terrific, short weekend soon came to a close. Next year it's my turn to plan it. Now where will we go???? ?